WASHINGTON, DC, November 1, 2010 (ENS) – Save Our Species, SOS, a new multi-million dollar fund that will provide grants for conservation of threatened species and their habitats, was announced Friday by the World Bank, the Global Environment Facility, and the International Union for the Conservation of Nature. 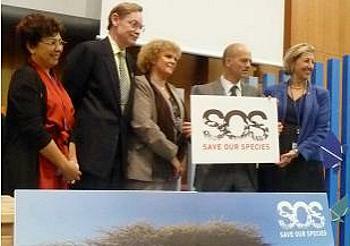 Introducing the SOS Fund at the Convention on Biodiversity meeting in Nagoya, Japan, the founding partners called on businesses to help build the world’s largest-ever global species conservation fund by 2015. The SOS fund already has more than $US10 million in financing commitments. The Finnish mobile phone corporation Nokia is the first corporate donor to the SOS fund. The Save Our Species initiative aims to bring together three elements that the founding partners say could be better coordinated – financial support from private business, international conservation expertise and cooperation from countries facing species extinction. The effort is a response to the plight of thousands of animals and plants that are facing extinction. Species are currently disappearing at a rate of up to 1,000 times higher than normal a situation that the SOS partners recognize threatens basic human economic security and way of life. 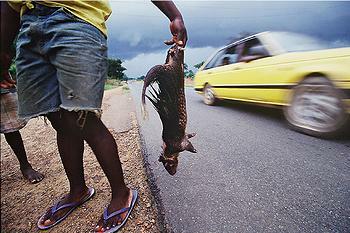 “Threatened species are the canaries in the global coal mine. If we can make Earth habitable to them, our societies will also thrive,” said Monique Barbut, the CEO and chairperson of the Global Environment Facility. An independent financial organization, the GEF provides grants for projects related to biodiversity, climate change, international waters, land degradation, the ozone layer, and persistent organic pollutants. Since its inception in 1991, the GEF has invested $9 billion in grants and leveraged another $40 billion in cofinancing for more than 2,600 projects in 165 countries. The SOS Fund will give businesses an opportunity to become directly involved in saving the planets natural environment and is intended to help companies meet their sustainable development goals. Business can be an effective environmental steward, but only if it’s given a place at the policymaking table, according to a policy report released in Nagoya by the World Business Council for Sustainable Development, a CEO-led, global coalition of 200 companies. The WBCSD report finds that business needs a more defined role in the Convention on Biological Diversity as well as in other international and national policy forums, if corporations are expected to deliver the investment and change required to stem biodiversity losses. IUCN will manage the Save Our Species initiative, using the findings of the IUCN Red List of Threatened Species and the expertise of its thousands of scientists around the world. 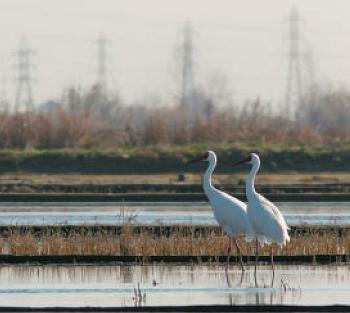 “The emergency situation facing biodiversity calls for an emergency response. SOS seeks to do just that: bring the knowledge, expertise and funding together to address the plight of threatened wild animals and plants around the world,” says Julia Marton-Lefevre, director general of IUCN. SOS has two types of grants – species conservation grants of US$25,000 to 800,000 which will respond to call for proposals and specific priorities; and also rapid action grants supporting conservation actions in case of emergency situations. Funding priorities will be established based on expertise of the IUCN’s Species Survival Commission and will be maintained for two years. Every year new priorities will be added. Call for proposals will be regularly issued starting at the beginning of 2011. The first priorities for species conservation grants will be: threatened mammals in Asia, threatened amphibians and Critically Endangered birds. In addition, there is currently one SOS emergency response grant to the Saiga Conservation Alliance to restore the Critically Endangered Saiga antelope. The Saiga antelope, Saiga tarctica, is one of the most threatened species on the planet due to a 95 percent decline in population size since 1995, caused by uncontrolled poaching in the aftermath of the break-up of the Soviet Union. It has only five populations, and is found in Russia, Kazakhstan, Uzbekistan and Mongolia. Deepening the crisis, nearly 12,000 saigas were found dead in western Kazakhstan in May out of the 26,000 antelopes in this population. The dead were mostly females who had recently given birth, as well as their calves. The cause of the deaths is still unclear, and is currently under investigation. With a large humped nose hanging over its mouth helping it breathe cold, thin air of the arid Eurasian steppe, the saiga is a relict of the Ice Age fauna that included mammoths and sabre tooth tigers, and is evolutionarily distinct from other antelopes. Roughly the size of a goat, saigas eat grasses, herbs and shrubs and provide prey for wolves, foxes and eagles. The Saiga Conservation Alliance says saiga meat and hide are traditionally valued, but today saiga are primarily hunted for their translucent amber horns, which are used Southeast Asian countries for Chinese traditional medicine. 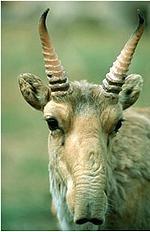 Saiga antelopes went extinct in China in the 1960s, but the SOS partners believe the species can still be saved.